Recently a friend of mine, who is single without kids, told me about some married friends who recently went on a camping trip with their kids and some other couples. Although she would have loved to go along, she felt like the “season of life factor” may have caused the married couple to compartmentalize the invitation list. 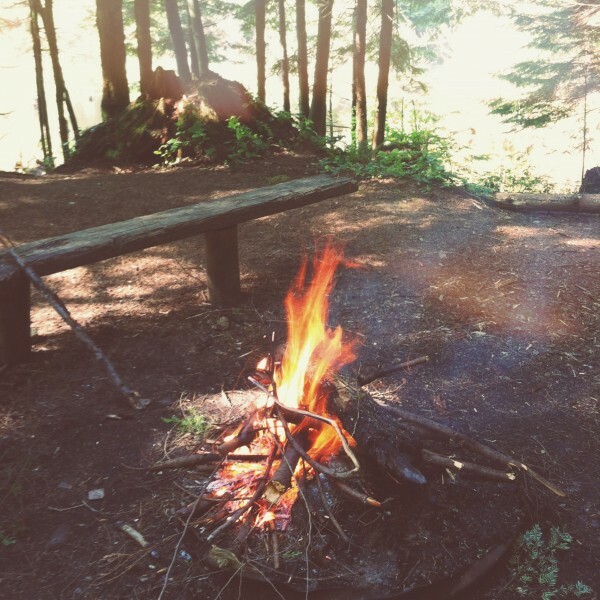 My guess is, married people with kids probably assume single peoplewithout kids would rather go camping with their other single friends who can stay up late around a fire and dare each other to walk across hot, burning coals instead of letting children dictate camp activities. That may be so. But, my challenge to married people this summer is this: when you throw your next party or plan your next camping trip, invite along couples without kids so they can watch how you parent and invite your single friends so they can see how you do marriage. Single peeps or couples without kids, if you’re planning a backyard BBQ, don’t assume that just because your married friends now have little ankle-biters running around and might not be able to fit it in the schedule, they don’t want to be there. Invite them and be open to them bringing their kiddos. You shouldn’t see yourselves as the forgotten victims when your friends move into a new stage of life. So, unless you are willing to plan a trip and buy an extra case of diapers instead of IPAs, I don’t want to hear it. Is there a friend in your life who you’ve stopped trying to connect with because you assume they’re too busy or wouldn’t want to hang out with your growing army? Don’t assume. Ask them to join you for your next camping trip and let me know how it goes. True that, Joy. I’ve seen people who, upon dating someone feel “guilty” with their single friends; upon marriage think their single friends don’t have anything to contribute to a conversation about marriage; and upon having kids, disappear from their single friends’ lives altogether because they think singles really can’t relate to them then. It’s sad, and I think it’s a sign of immaturity and insecurity. If you believe that God has all of us in our current season of life for a reason, then we all have something to give and receive from each other. This is what community is all about. Yes mam! We all have so much to learn from each other. I seriously can’t WAIT for The Illumination Project to come out and get these intergenerational conversations happening. Thanks for sharing! Great post, Joy! I think it’s great to mix it up, and the only thing I’d add is having people of different ages together, too. It’s so easy to just gravitate towards with whom we share affinity, but then it just becomes an affinity group rather than true community. This makes me so thankful for my community. I forget sometimes how incredible they really are. So glad you have that Julie! So glad to hear you are living it out! !